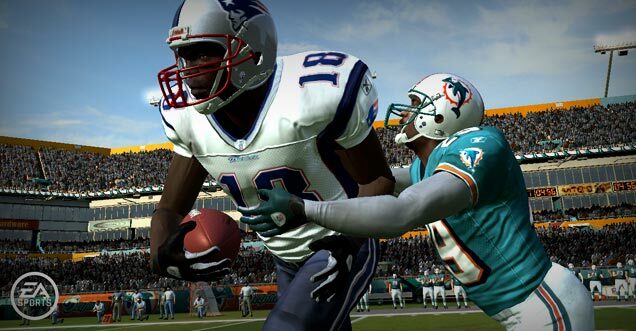 With PC gaming representing a mere 14% of games in 2007, and recent talks about the end of the PC as a gaming platform, EA is seemingly doing its part now to solidify PCs death with the removal of the Madden 09 PC version . While others continue to argue that PC gaming is still healthy, the removal of EA Sports’ best selling franchise from the PC is a clear sign of the state of the industry. The game will be getting healthy releases on August 12th for the Xbox 360, PlayStation 3, PlayStation 2, PlayStation Portable, Nintendo Wii, and Nintendo DS (aka every other system known to man). So it’s obvious that EA isn’t getting enough returns from the PC versions anymore to justify the continued allocation of time and development resources. I’m betting all the people who have downloaded pirated versions of EA Sports’ titles year after year are feeling kind of funny right about now. Am I right?